If you've ever longed for the charm and enjoyment of beautifully furnished villas in a lavishly landscaped setting on a Mexico beachfront, Reef Playacar Resort & Spa is exactly what your dreams are made of. Furnished terraces or balconies give you opportunities to look out at panoramic scenery. Here you'll contemplate the good fortune of being in this Shangri-La complete with waterfalls, secret swimming hideaways called cenotes and tropical gardens. In supremely comfortable timeshare rooms you'll find air conditioning and ceiling fans to keep everyone cool. You’ll have the necessities with television, DVD or VCR, private bathroom, hair dryer, iron and ironing board, safe deposit box and alarm clock. Within various resort packages, you'll have breakfast, lunch and dinner buffets along with an ice cream parlor, snack bar and drinks. When you decide on Playa del Carmen timeshare resales at Reef Playacar Resort & Spa, you'll find non-motorized water sports including paddle boarding, boogie boarding, water skiing, sailing, swimming, scuba diving demonstrations, catamarans and snorkeling opportunities. Everyone will have fun with daily activities and enjoy the exciting nightly entertainment. Romantic wooden pathways take you past the beach and Reef Spa, along with a choice of restaurants. You'll also find a fitness center and bicycles to keep you active, and cultural classes where you can brush up on your Spanish. You'll love having beach towels, beach umbrellas, lounge beds and lounge chairs to enjoy the sparkling turquoise waters and to get some sun as you spend an enjoyable day at the beach. Golf and tennis opportunities are also close by. 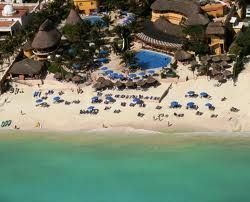 These Playa del Carmen timeshare resales come with amazing benefits and abundant memory-making opportunities. 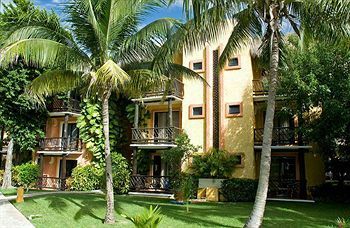 Just a short walk from your resort is the gated community of Playacar, which is within walking distance of boutiques and restaurants along the charming and fashion-forward 5th Avenue. 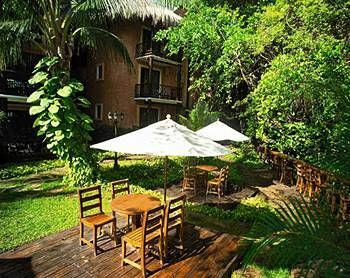 With your stay at Reef Playacar Resort & Spa, you'll feel like you're immersed in the splendor of the tropics, with the niceties of a charming town nearby. 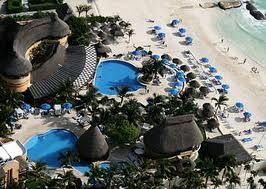 Contact Reef Playacar Resort & Spa Specialist Today!